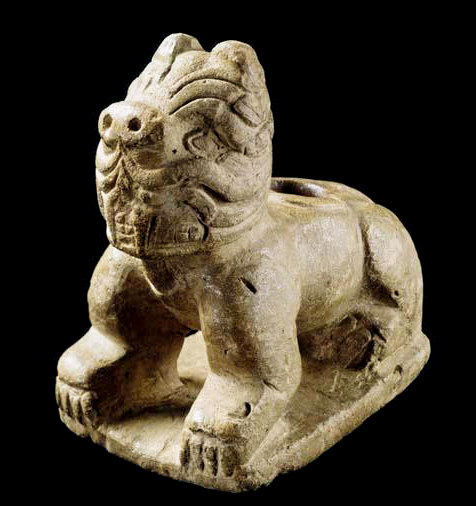 Carved limestone pipe bowl in the shape of a stylized cat. It was recovered during archaeological excavations of the Mississippian-period mounds at Moundville Archaeological Park, Tuscaloosa County. The pipe is believed to represent the "underwater panther," a recurring figure in Native American folklore so named for the belief that its swirling tail was the source of whirlpools.